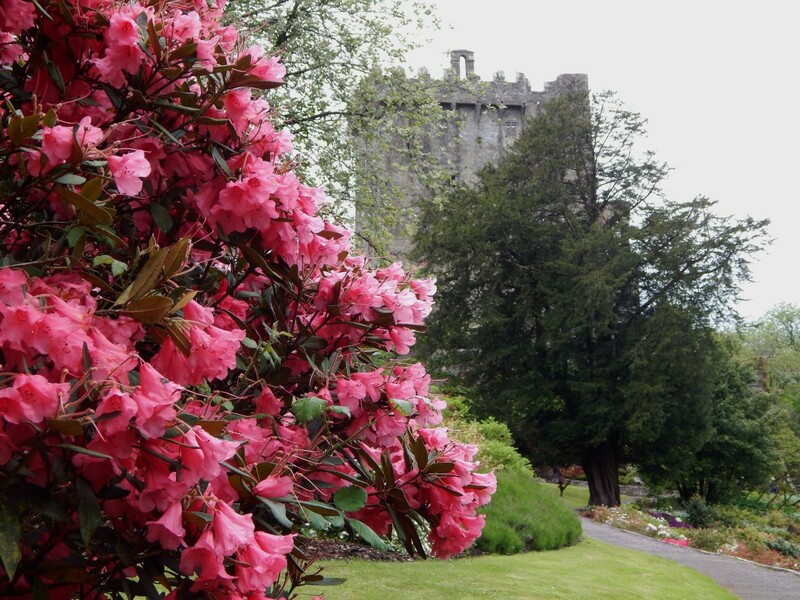 Blarney Castle is situated in County Cork in the south west of Ireland. Part of the ancient kingdom of Munster, the land upon which the castle stands is part of the territory of the Desmond clan. There has been a keep on this spot since the 10th Century when a wooden structure stood in the marshy land overlooking the river Martin. In around 1210, a stone keep was built, but this was later demolished for materials. 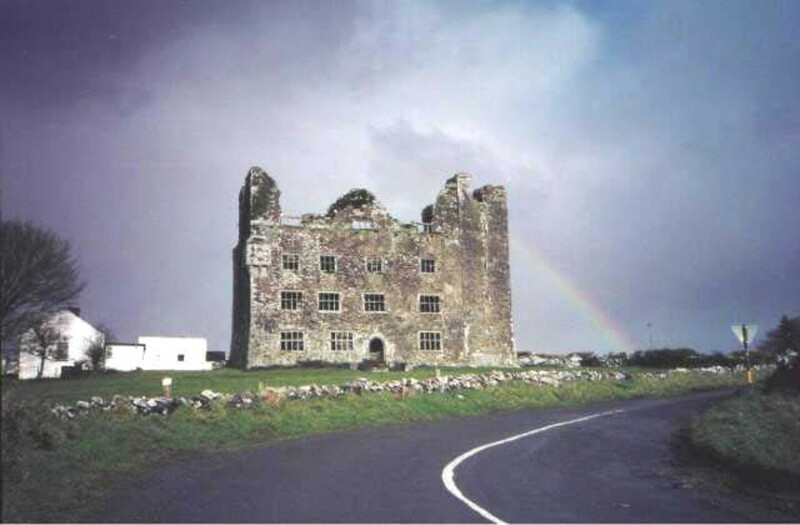 Finally in 1446, the King of Munster, Dermot McCarthy, built the third castle, the ruins of which stand to this day. Like so many ruined castles around the Irish coast, we have Oliver Cromwell to thank for its destruction. Set in idyllic landscaped gardens, the castle is a popular tourist destination for visitors to south west Ireland. Myth and magic come to life in the caves and woodlands, with limestone forming strange and unusual formations. Each one of course, has a story. Perhaps it is the Stone's influence on the landscape? The mythical Stone of Eloquence, more commonly known as the Blarney Stone, is a bluestone block set in the battlements at the very top of the keep. 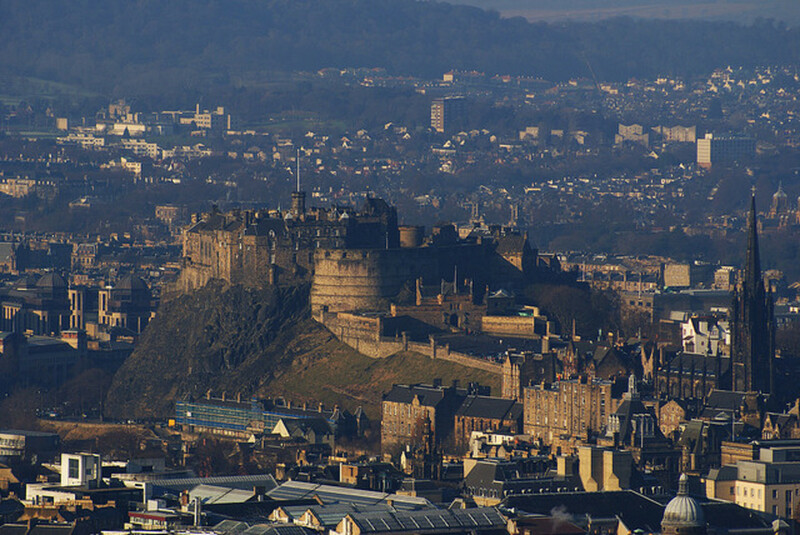 To access it, one must climb up winding stone stairs to the very top of the keep, before lying on your back and bending over backwards through a hole in the parapets. Hanging upside-down with head and shoulders leaning over a terrifying sheer drop, it is not to the liking of all. To fall would mean certain death, and the screams of visitors often break the tranquillity of the landscaped gardens as the shocking view of the drop beneath them is revealed. 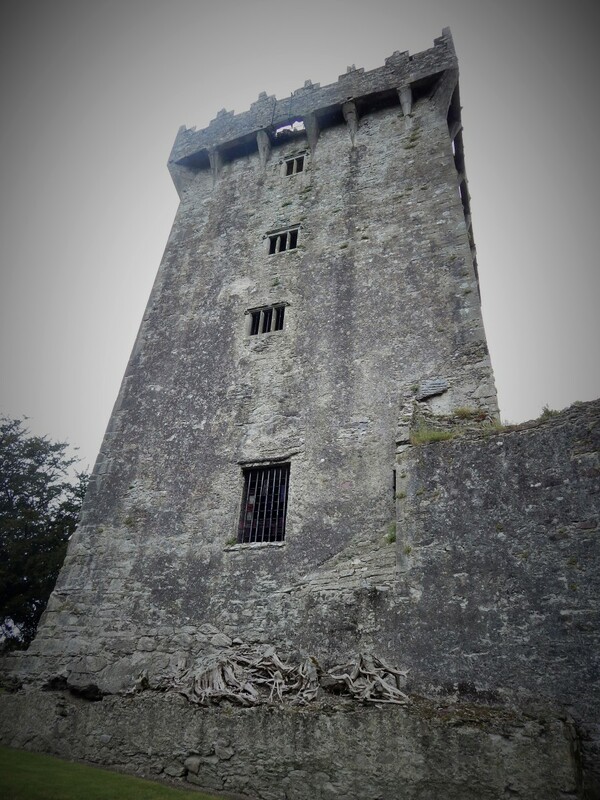 According to the tourist information, world statesmen, literary giants, and legends of the silver screen have travelled to Blarney to kiss the stone to gain its powers. So why do they, and so many other pilgrims do it? It is said that if one kisses the stone, one is graced with the power of the Gift of the Gab. The Gift of the Gab enables a person to speak with great charm and eloquence, and to speak in a clever or coaxing manner. Those with this gift have a power of wit and flattery, and the silver tongue of one who speaks freely and easily. 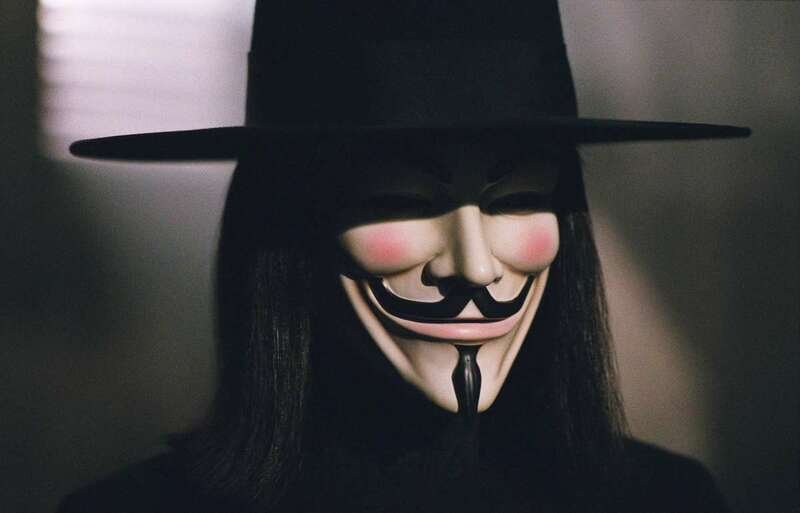 It is rare gift that is sought by many story-tellers or those who wish to coerce others with the power of speech. “Gab” is thought to be derived from “gob”, a British/Irish colloquialism for mouth. It has been a mystery as to how and why this bluestone block has been placed in the battlements. It is possible that it is an older standing stone from the site, or may be a token from a friend to the King of Munster whilst his castle was being built. There are several legends around the Stone and its history. Some may be more credible than others. Some believe that the Blarney Stone is the great Lia Fáil, which was the magical stone upon which the Kings of Ireland were crowned. Some believe that the Blarney Stone is the great Lia Fáil, which was the magical stone upon which the Kings of Ireland were crowned. One particular tale describes how the stone was taken to Scotland, becoming the Stone of Scone. A piece of this was then given to Cormac McCarthy by Robert the Bruce in thanks for his support in the Battle of Bannockburn in 1314. Another version of this myth tells that it was merely a gift granted by Robert the Bruce, not the Stone of Scone at all. However, these tales are flawed in the fact that the stone is said to have been removed from Scotland a full 18 years before the Battle of Bannockburn. I have heard an unattested theory that the bluestone slab comes from the Preseli Hills of Pembrokeshire, South Wales. This rock is allegedly the same that makes up the inner bluestone circle within Stonehenge, and that it shares supposed magical healing powers that its sisters at Stonehenge are said to possess. Whether or not there is any fact in this is to be questioned. However it is worth considering; South West Ireland and South West Wales are the location of most of the Ogham stones, which suggests migration and interaction of a culture over a period of time around between the 4th and 6th Centuries. 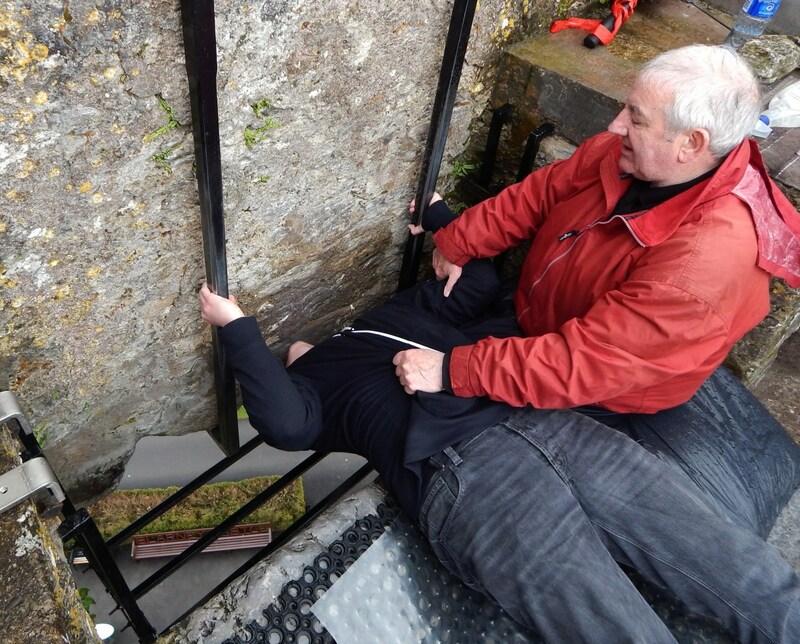 Could the Blarney Stone have been a gift from Pembrokeshire? A more likely explanation centres on King Cormac McCarthy, his efforts in defying Queen Elizabeth I of England, and the aid of the Celtic Goddess, Clíodhna. The British Isles in Tudor times were a bed of intrigues and power struggles. As so often occurred in its history, Ireland was coveted by England’s wealthy and powerful. The Catholics, since Henry VII’s abolition of the Catholic Church, were deemed a threat to the newly formed Church of England. Queen Elizabeth I had set her sights on Blarney’s estate, yet McCarthy, King of Munster, had other ideas. The Earl of Leicester was set the task of leading negotiations to take possession of Blarney and the King of Munster’s domain. 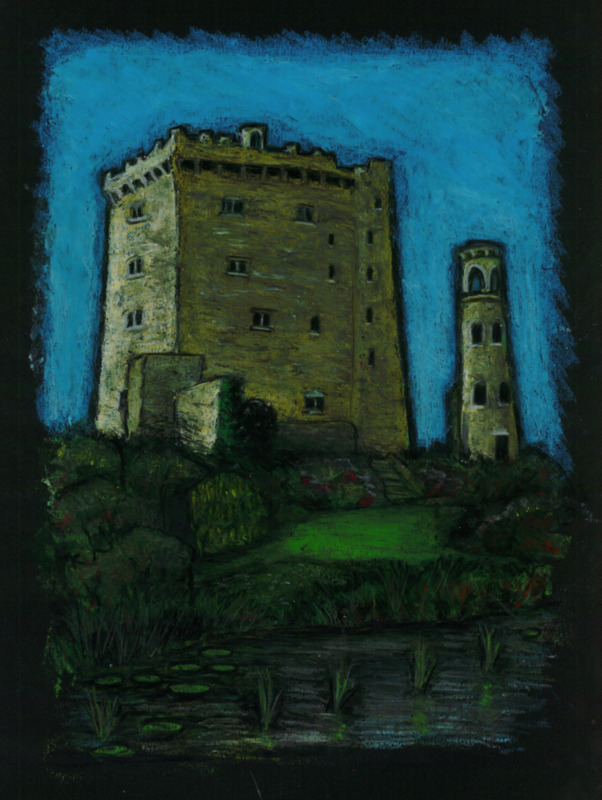 Each time he and his men travelled to the castle, McCarthy would throw a grand event. Great banquets were held, hunts were organised, or lengthy festivals took place, with any hope of political negotiation thrown out of the window during these riotous days of celebration. The Queen’s retainers were greatly delayed in their mission, and when finally the Earl of Leicester sent progress reports (or lack thereof) to Her Majesty, the Queen described them in frustration as being “Full of Blarney”. This was most likely used in the context that they were filled with news of the events held in Blarney, and over the years the term has come to describe beguiling talk or empty flattery. McCarthy’s skills in charming his guests were extraordinary. Few denied the Queen of England what she wanted, yet he managed it quite well. It was only when Cromwell’s men came around a century later with cannons, that the castle was finally taken. Gunpowder succeeded where so many had failed. Legends grew about the King of Munster and his remarkable gift. Tales were whispered about a pact with the Old Ones, specifically Clíodhna, a goddess of the Tuatha Dé Danaan. Anglicised, her name is Cleena, and is said to have been the principal goddess of the old land of Desmond, located in South Munster. It was this country that Cormac McCarthy’s line hailed from, and myths describe how he made an appeal to this ancestral goddess. Clíodhna is described by some as a goddess of beauty and love, and dwelt in the Land of Promise known as Tir Tairngire. Some legends describe how she dwelt in a palace in the centre of a pile of rocks known as Carrig-Cleena, ruling over her people. 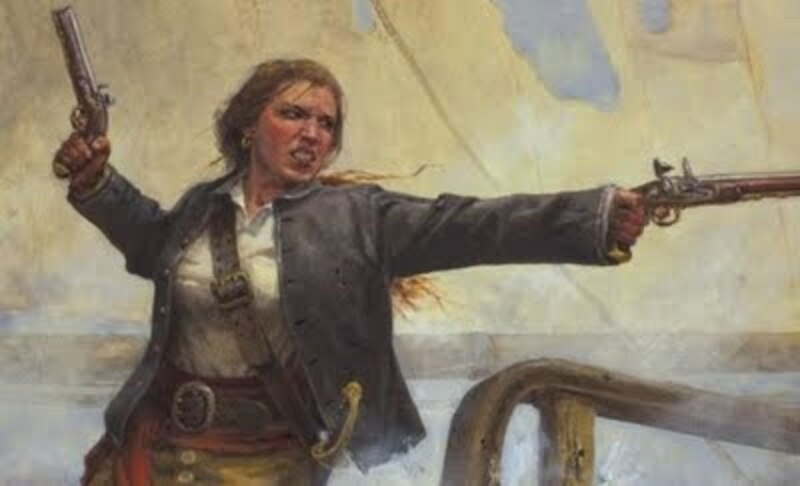 Clíodhna’s role though, had more aspects than love and beauty. Some say that she was drowned when she was swept into the sea whilst in an enchanted sleep during a visit to be with her mortal lover, Ciabhán. 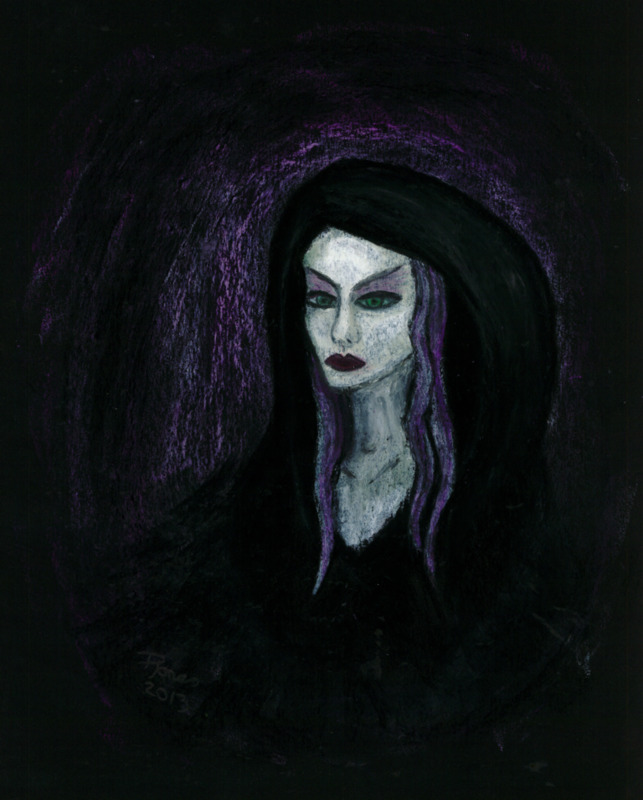 She became known as the Queen of the Banshees, ruling over the fairy-women of the mounds. A potent banshee, Clíodhna or any one of the Sidheog (fairy-women) would appear at a household when a death is imminent, wailing around the rooftops. Rather than a terrifying portent of doom, this omen instead should be viewed as a lament in tribute to the noble descendants of Clíodhna’s line. For she is associated with the old families of Munster, and appears to be some sort of matriarchal goddess of the lands ruled by the Ui-Fidgheinte during the period between 373AD and 977AD. Throughout history, Clíodhna appears in records of the lands and families under her domain. 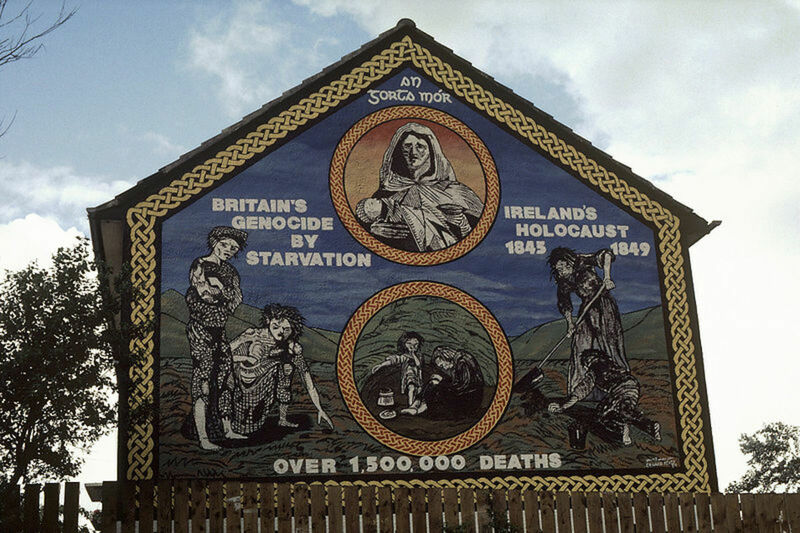 Due to a potato crop failure and high exports commanded by the British, a huge number of Irish died of hunger between 1845 and 1852. John O’Donovan, Irish Antiquarian, wrote a letter in 1849 to a friend, referring to terrible events of the Irish famine. He describes how this goddess lamented those in her own lands, and one of his relatives. The Donovans are descendents of the Ui Donnobhans, a tribe of the Ui-Fidgheinte people. It is said that Clíodhna came to the King of Munster’s aid when Queen Elizabeth had her sights set on the land of Desmond. 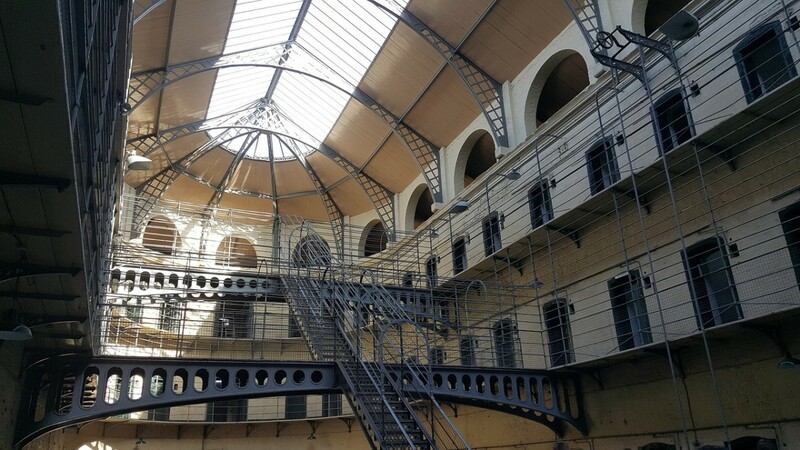 Michael Collins, famed from the Easter Uprising of 1916, knew of Clíodhna and the legends of her matronage of the old families. His family name is derived from Ó Coileáins of Uí Chonaill Gabra, which interestingly, is also a tribe of the Ui-Fidgheinte. One is left to wonder if Clíodhna wept when Collins was killed in a gun battle during an ambush in 1922. It is said that Clíodhna came to the King of Munster’s aid when Queen Elizabeth had her sights set on the land of Desmond. The story tells how Cormac McCarthy was involved in a lawsuit regarding possession of his lands, and begged the Clíodhna for her assistance. He was no good at speeches, and minced his words. After his appeal to the goddess, he met an old woman whilst walking through his estate. She told him that whilst on his way to court, he should kiss the first stone he found in the morning, and he would be granted the ability to deceive without offending. He did this, kissing a flat blue stone, and subsequently won his court case. King Cormac had the stone placed in the parapets of his castle as a trophy and reminder of the gift granted by the goddess. Whatever tale is true, we can take these facts from the myth. Clíodna was adopted by the McCarthy’s as their “Fairy Woman”, and is a remnant of a regional goddess of Pre-Christian times. The King of Munster kept his castle, and the Gift of the Gab kept his land from the clutches of the English until long after his death. His Blarney frustrated the court of Queen Elizabeth I, and became the origin of an intriguing tradition. 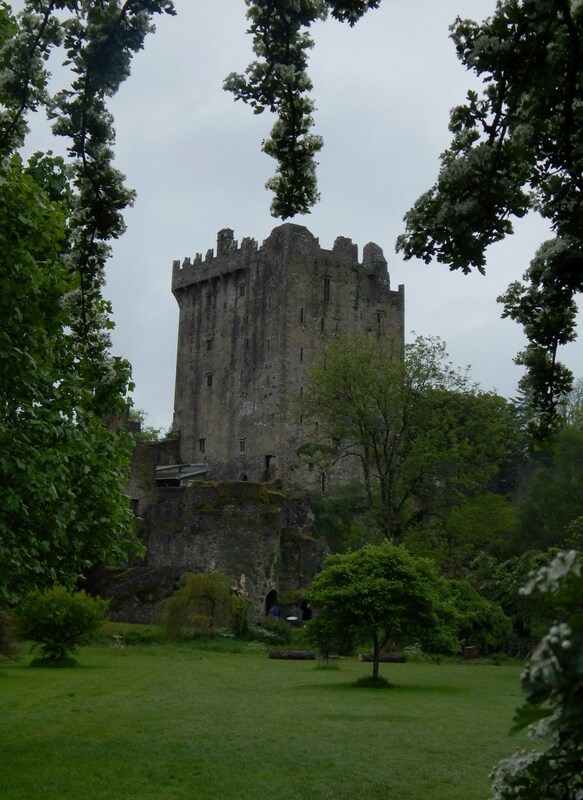 It is still possible to see the Stone of Eloquence at Blarney Castle. 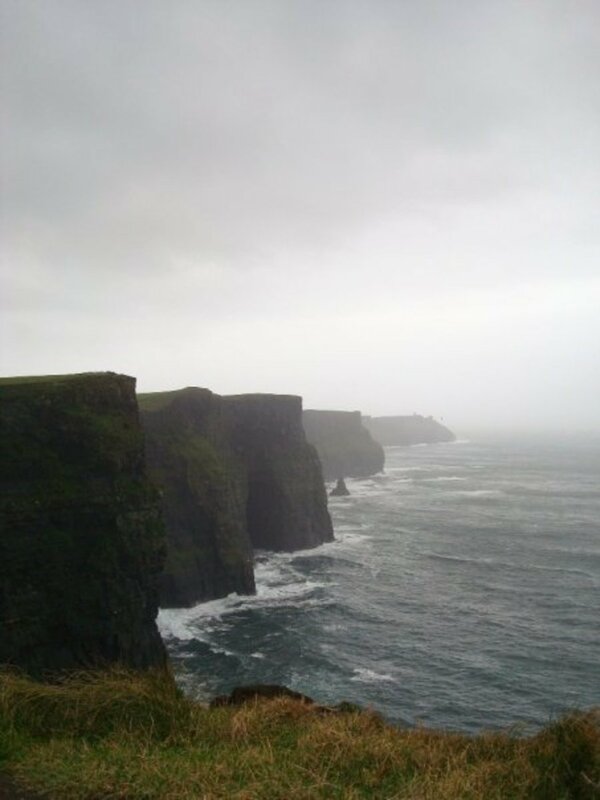 If you are feeling brave enough, you might even dare leaning over that awful drop to kiss it. Although these days you are not likely to be dangled by your ankles over the battlements. Iron railings prevent all but the skinniest among you from falling through the gap.